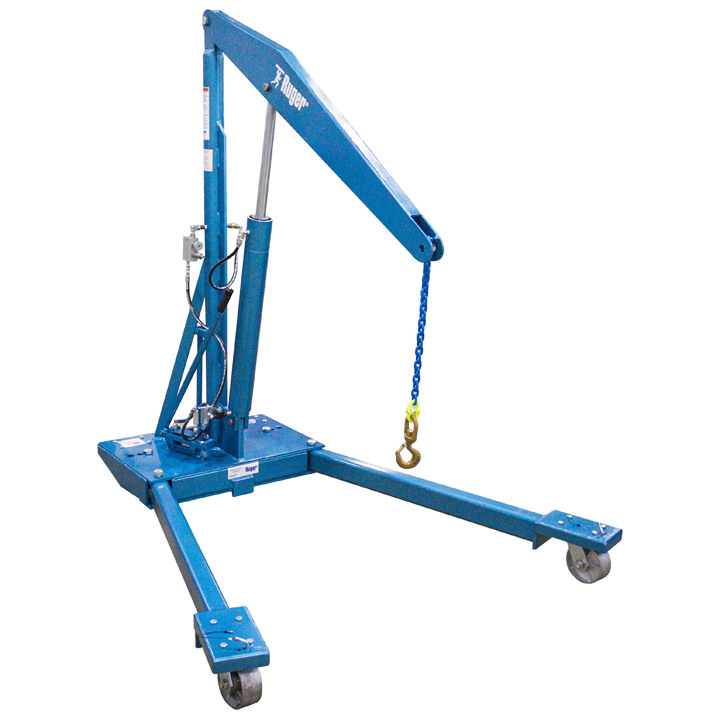 These Standard Straddle Floor Cranes are not only the perfect tool for everyday lifting in industrial facilities. They also feature needle type release valves to provide the pinpoint control that you need. 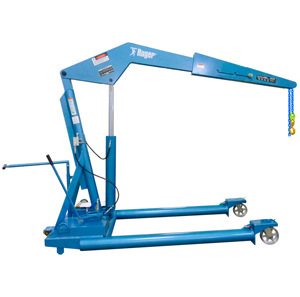 HP-500 500 lbs. 30-7/8" 37-1/2" DNE 25-1/8" 95"
HP-1000 1,000 lbs. 31-1/2" 41" 54" 20-5/8" 106-1/2"
HP-2000 2,000 lbs. 31-1/2" 45" 86" 10-1/2" 141-3/4"
HP-2 4,000 lbs. 34-5/8" 47-7/8" DNE 39" 123-1/2"
HP-2W 4,000 lbs. 43-3/4" 47-7/8" DNE 39" 123-1/2"
HP-3 6,000 lbs. 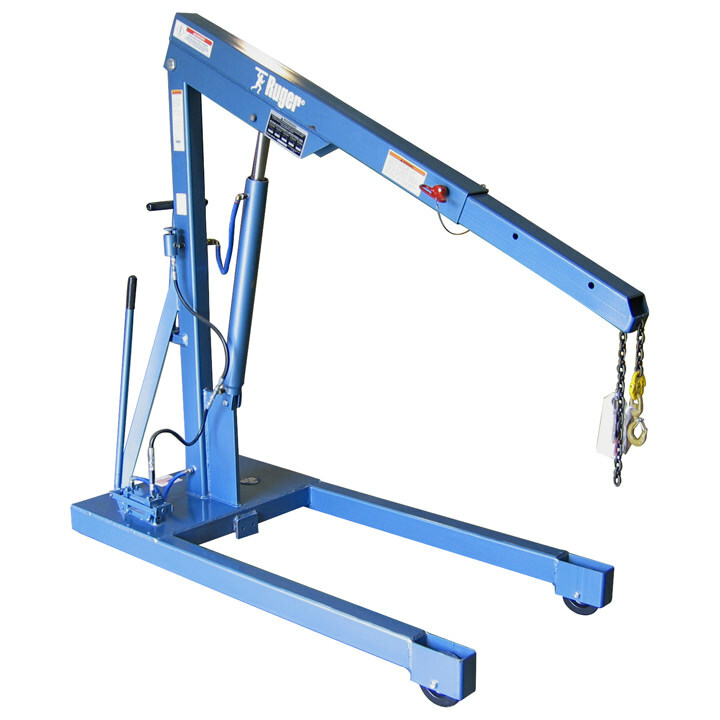 48" 44-3/4" DNE 35-1/2" 130"
If precise load control, safety and versatility are what you are looking for, the Ruger Standard Straddle Crane is the answer. 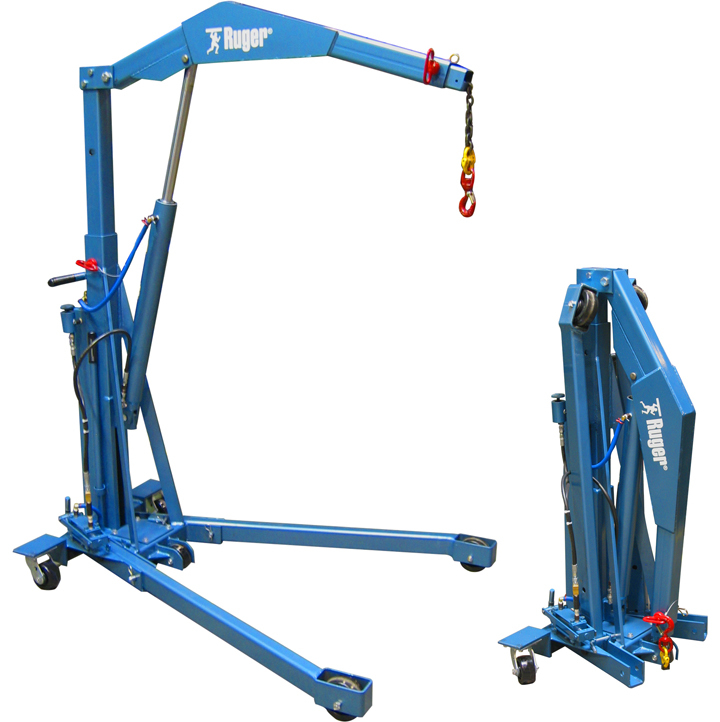 Carefully designed for the most demanding situation, these cranes are available with capacities up to 6,000 lbs. Models with 500, 1,000, 2,000, 4,000 and 6,000 lbs.